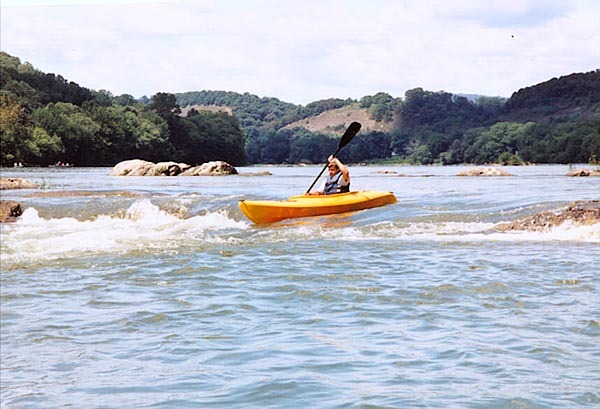 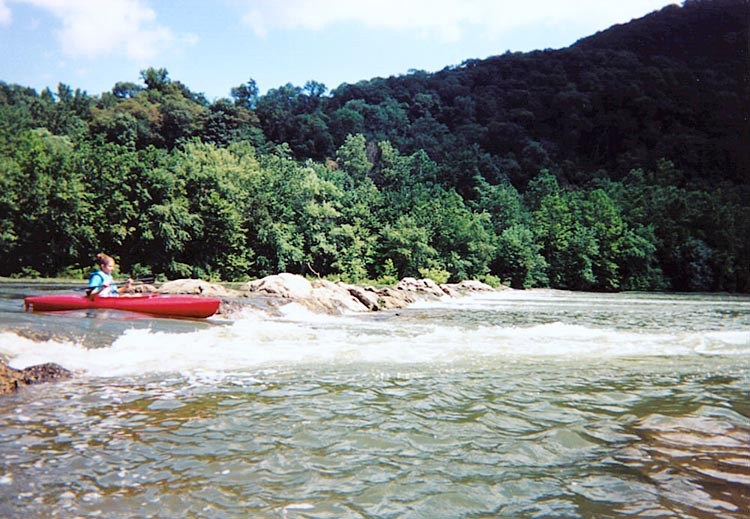 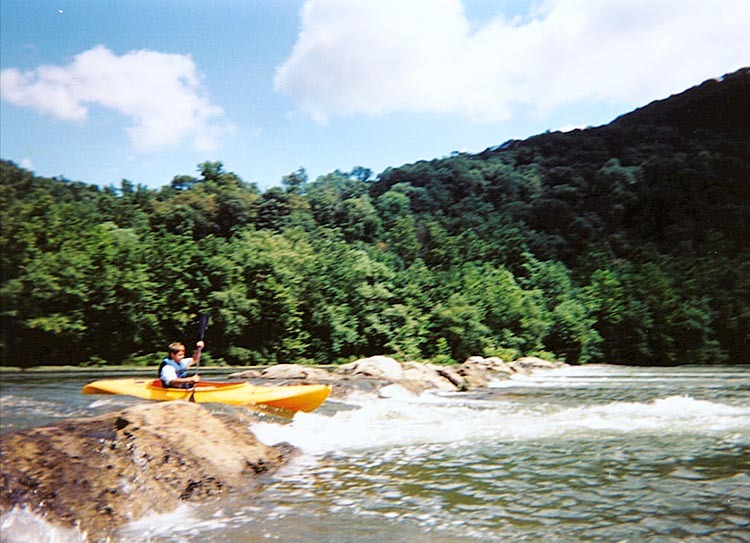 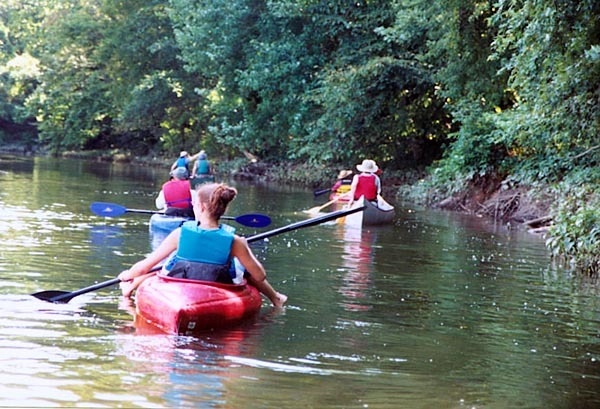 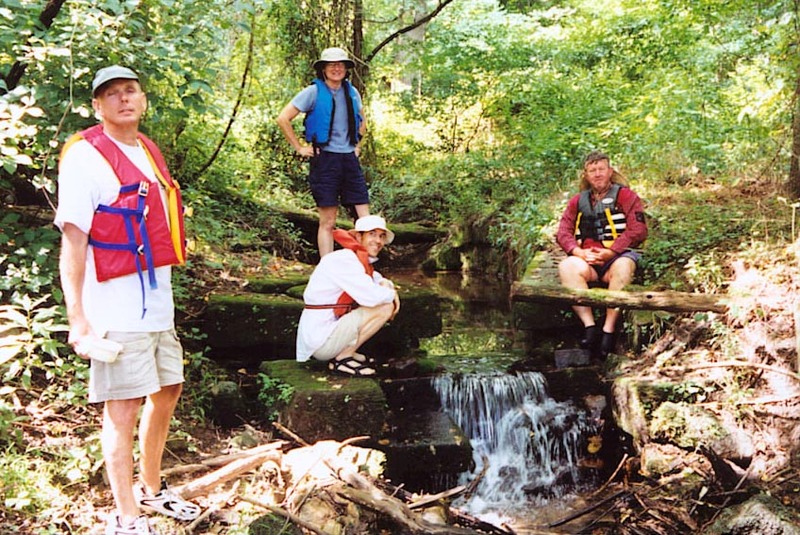 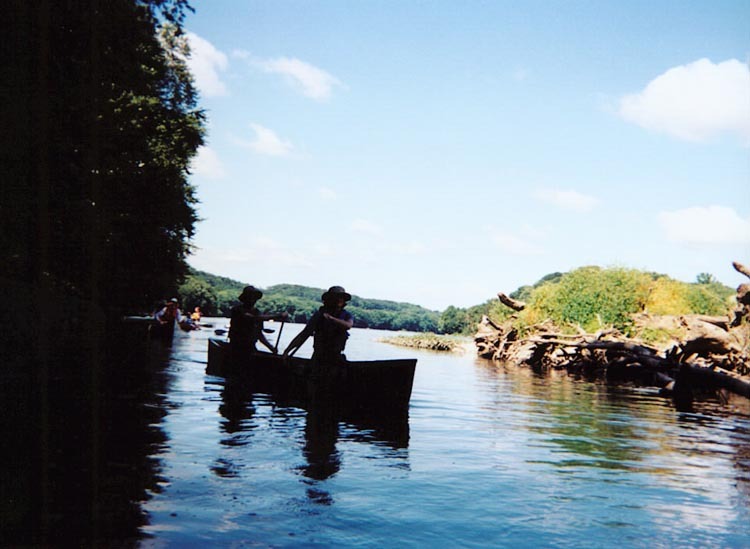 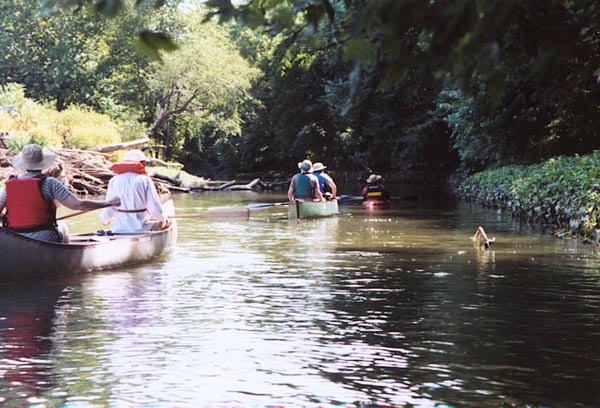 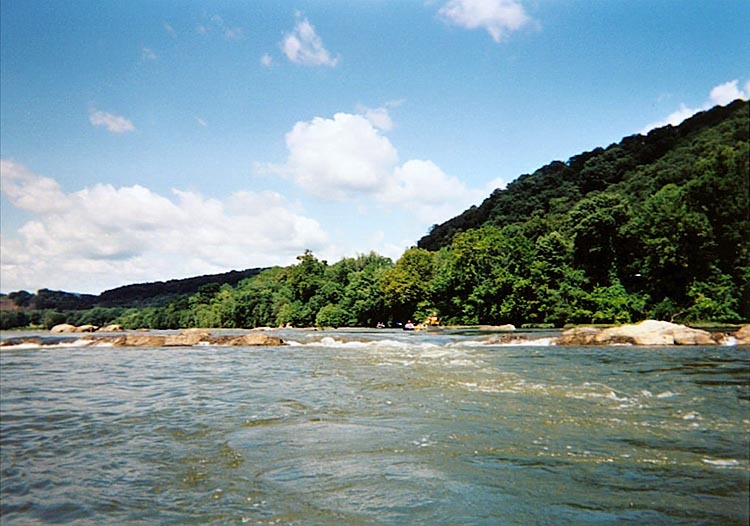 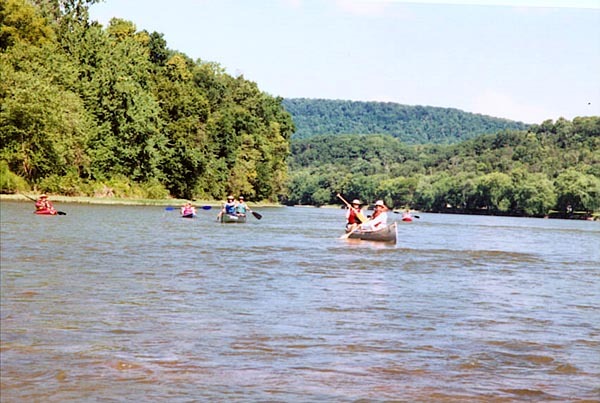 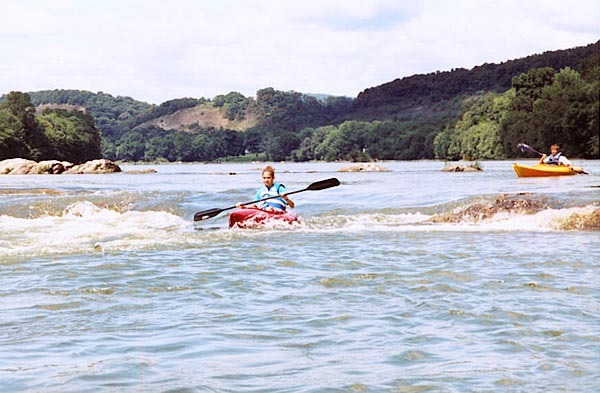 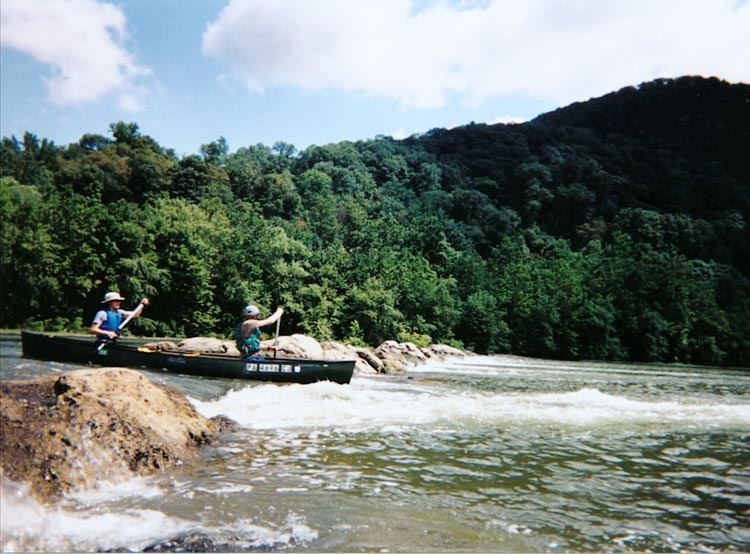 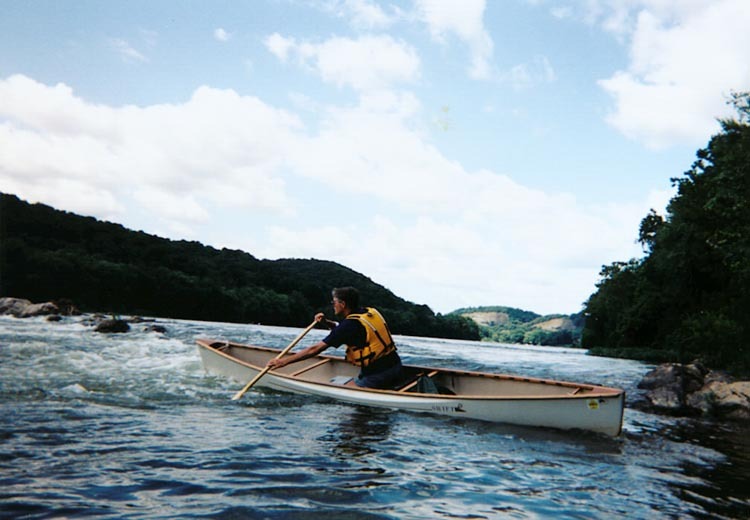 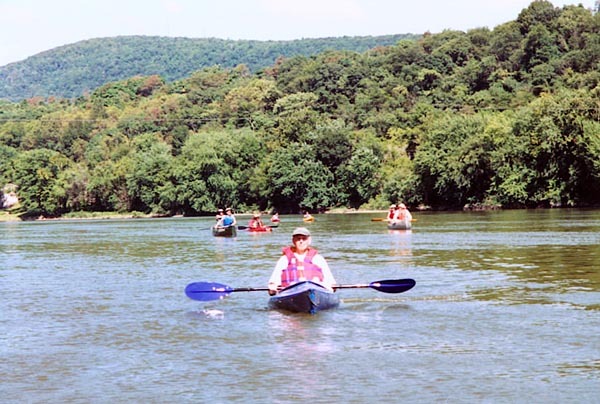 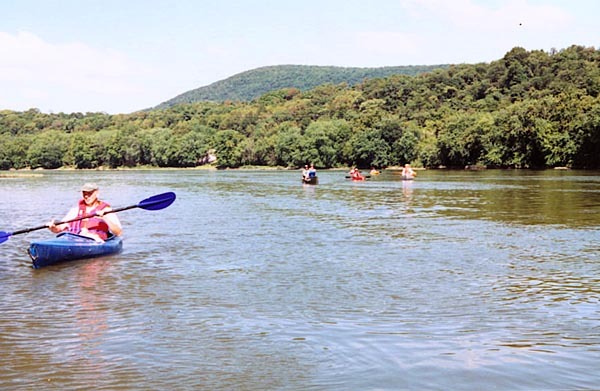 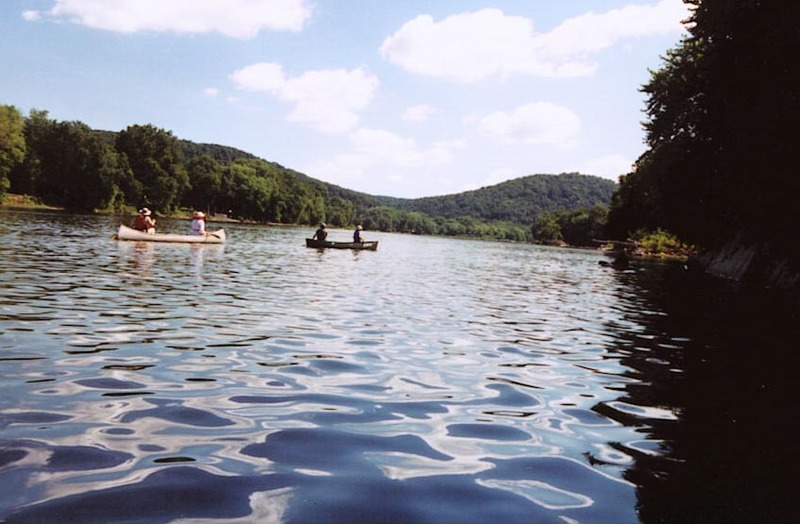 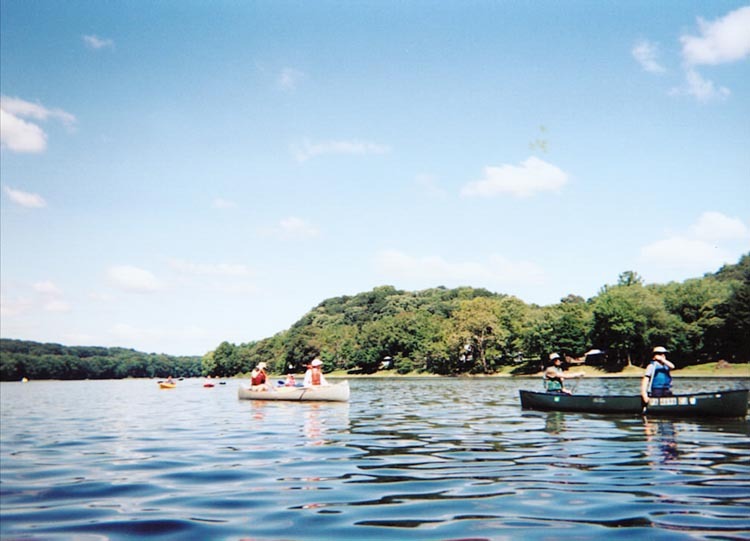 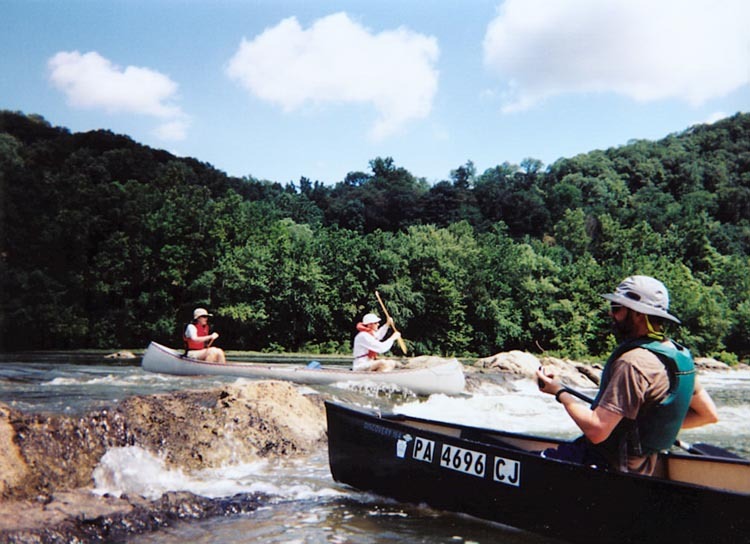 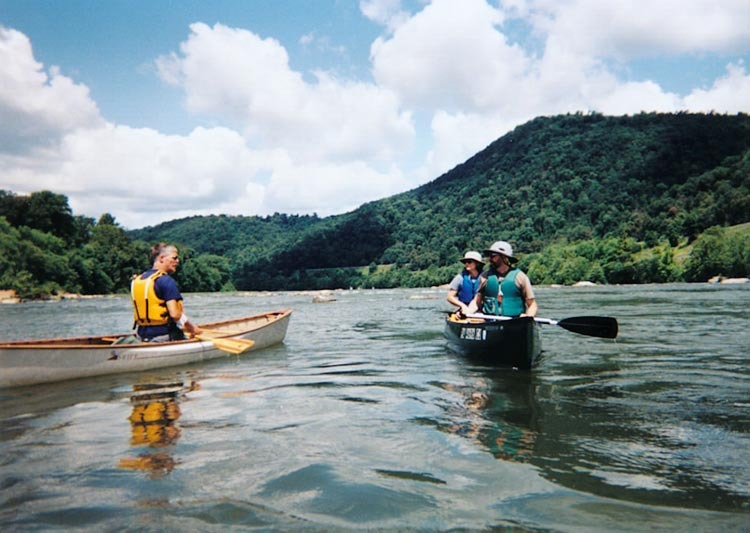 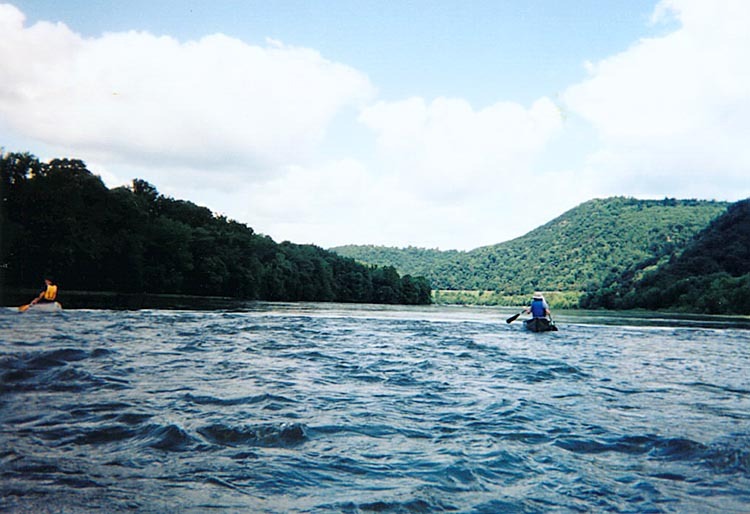 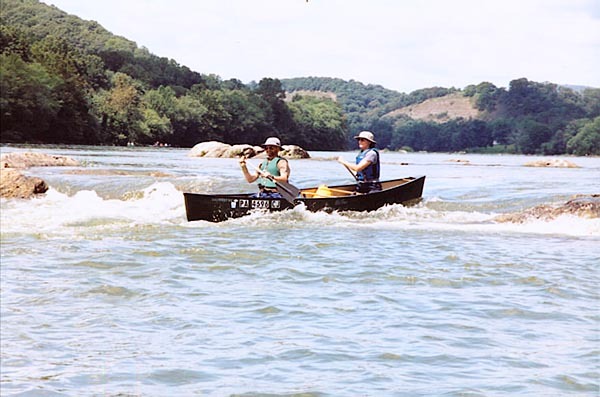 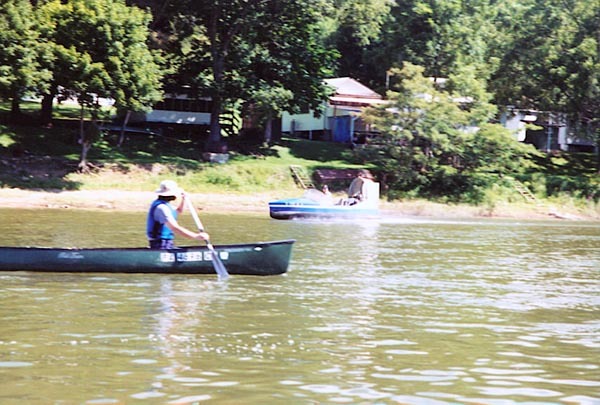 Kayak trip down the Blue Juniata River August 23, 2003. 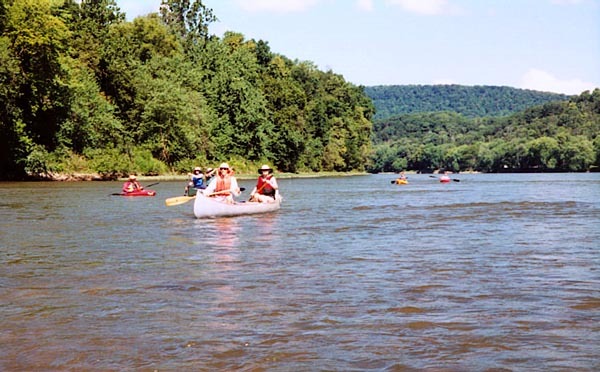 We went on a kayak trip down the Blue Juniata River in Pennsylvania today. 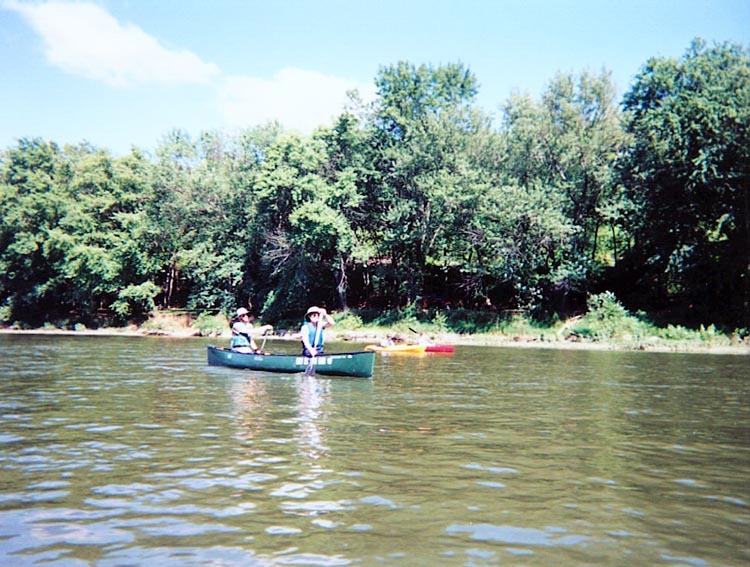 There were eight of us in 3 canoes and four kayaks. 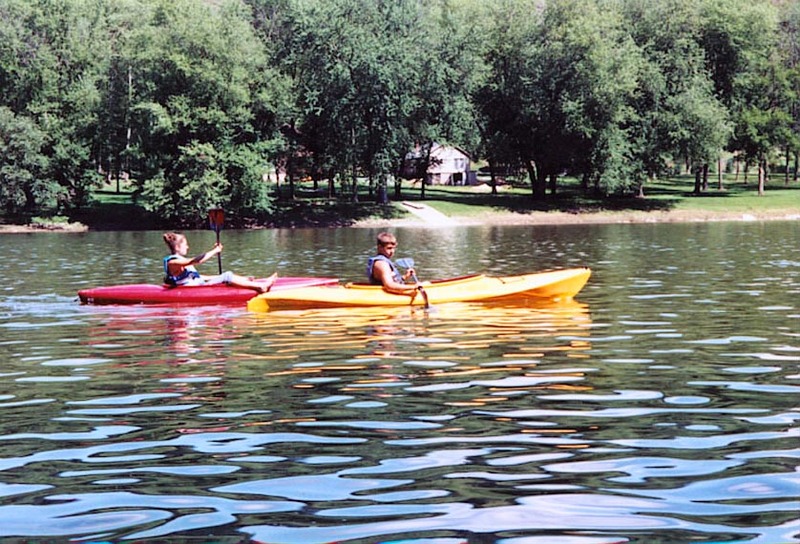 We went from Howe Park to Ken's Beach. 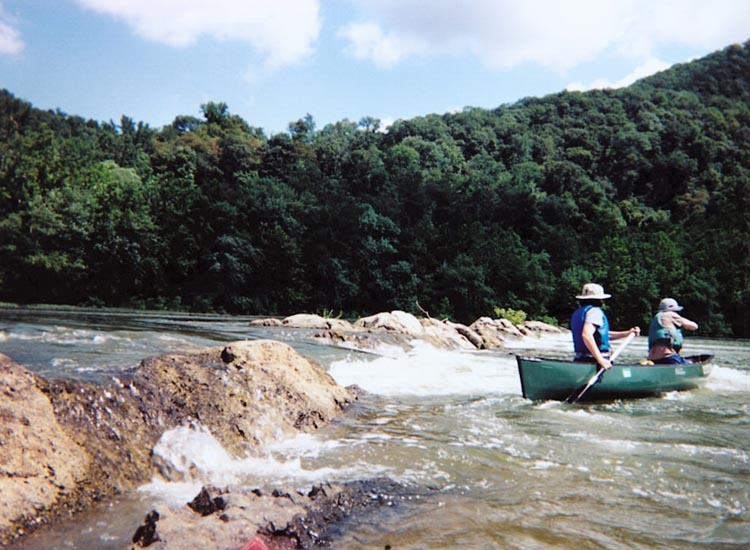 Ken Schull has a very nice beach on the Juniata. 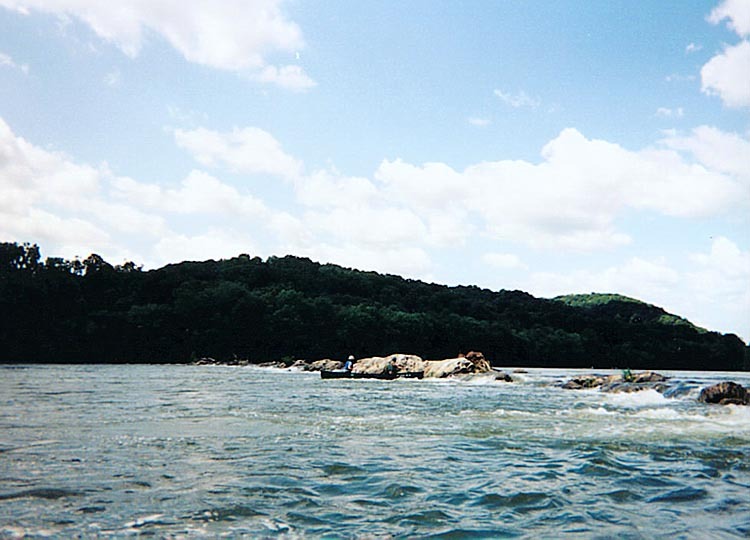 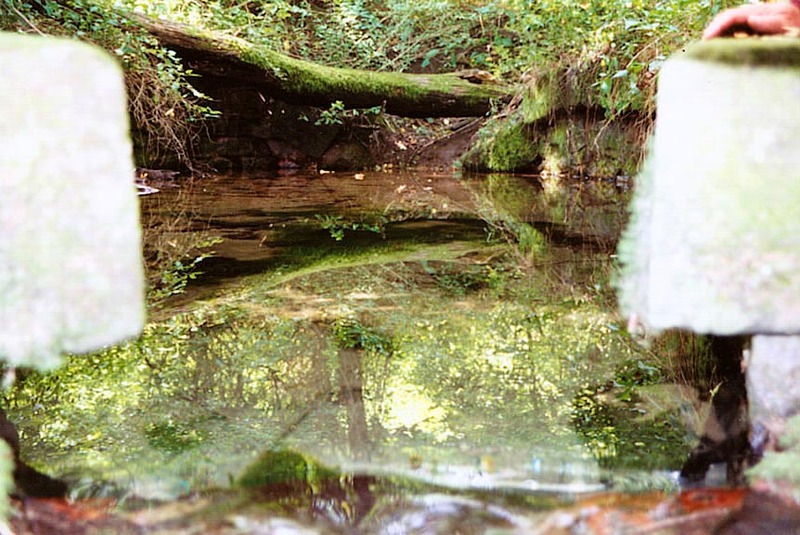 We spent some lot of time surfing at the ledges. 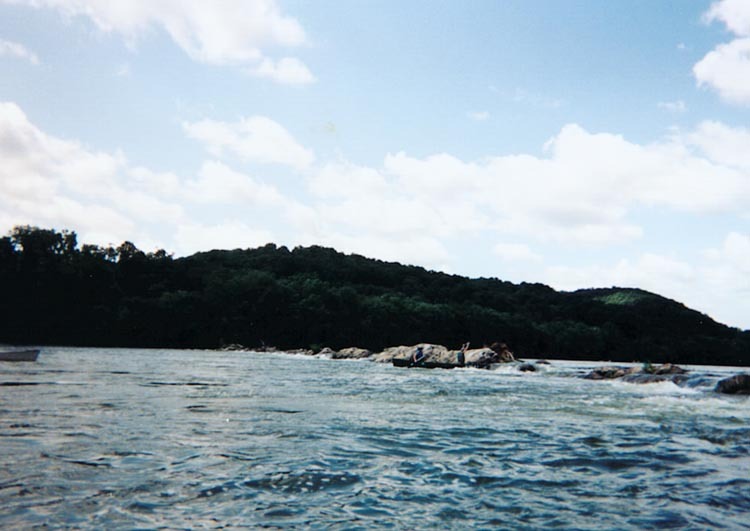 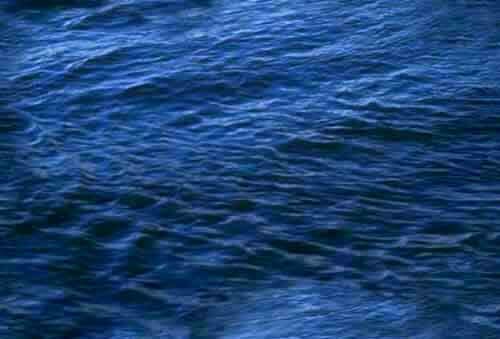 The water was about 4.0 on the Newport gauge. 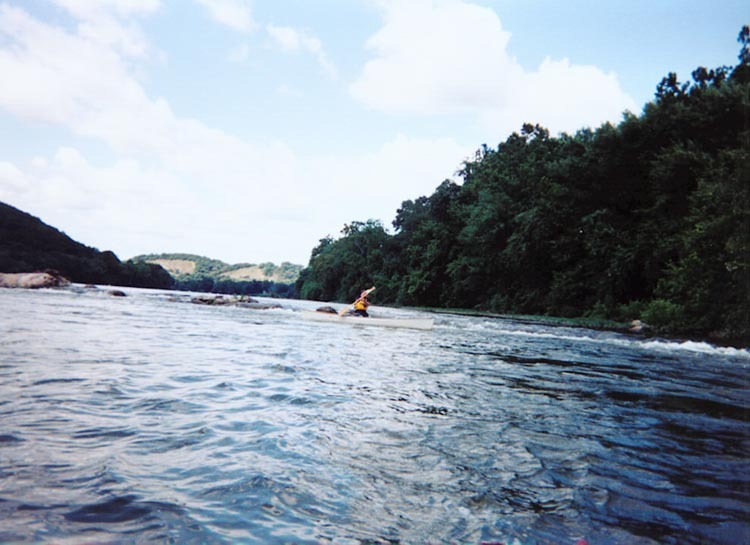 This trip took about 3.5 hours.